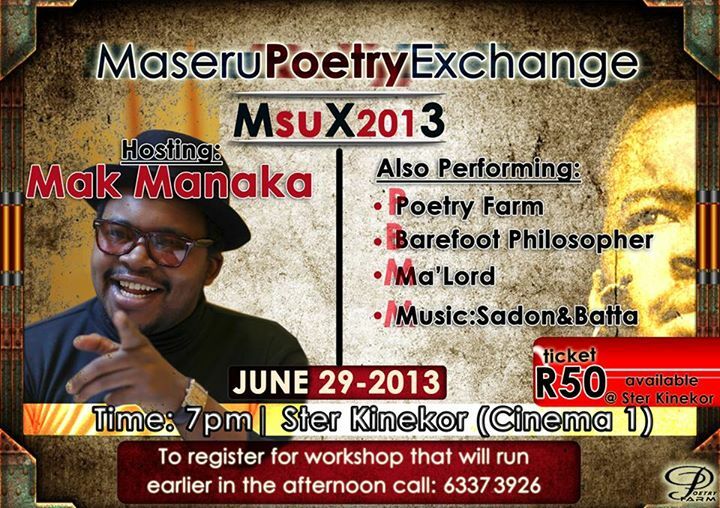 Maseru Poetry Exchange is a poetry festival by Poetry Farm. It replaces what used to be known as Urban Poetry Buffet festival which started in 2008. Poetry Farm will host Mak Manaka in this event.